This has been the blanket response by all when I’ve mentioned that I’m learning Finnish. Why would I learn a difficult language that is only spoken by around 5 million people in a country where English is widespread: it is pointless. They have a point, I have no real reason to learn Finnish: I’m not moving to Finland (*2016 update* although I’m dreaming/considering it now! ), I don’t have Finnish family or a job that requires it, I’m not marrying a Finn. So Why Am I Learning Finnish? The short answer is, I love it. 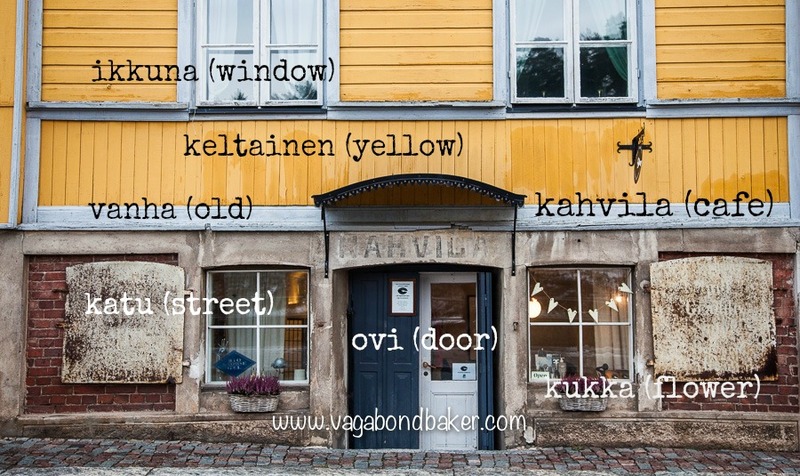 I have fallen head over heels in love with the Finnish language and I want to learn it. And I want a second language. As a Brit, I have, like many of my fellow countrymen, only one language: English, that most widespread of languages. I’ve wanted a second language for a while but I’ve been lazy, I never continued my high school French (which I excelled at as a teen) and although what little I can remember comes back to me when I need it, I could never count it as a second language, I certainly couldn’t hold a conversation in it. What has held me back has been no need to speak French (hell, I didn’t even go to France until my 30’s) and I’ve no drive to learn it, even though it would be the easiest to reach fluency as it is the language I have the most vocabulary and grammar for. I find French painfully hard to speak: I lack all confidence to pronounce it correctly. I’ve tried to learn basic Japanese (with a book and CD), and Italian (a course on the BBC website). I even tried to revive a very basic knowledge of Spanish (I did a year of it at high school) a few years ago as it would be useful for travel. I enjoyed the Japanese and the Italian, but I never had enough momentum to keep up with the studies. The Spanish didn’t get far at all (I was using WordDive, which was good but I lacked drive). Something was missing. Finnish wasn’t even in my periphery until I took the train across Russia where I met not only a couple of Finns, but also a Brit who’d lived in Finland for a few years and had learnt some of the language. Suddenly I was exposed to a new language, and it was both different and fascinating. To be honest, is was a tongue-in-cheek acceptance, but I enjoyed learning a few phrases. Those first few words gave me such satisfaction that I soon found myself hungry to learn more. We were all travelling around Mongolia and China together and we spent hours talking about language, and the complexities of both Finnish and English. I learnt how unique Finnish is, that it is completely unrelated to nearly every other language. When I got back to the UK I tinkered with it a bit, I got a Finnish Language app on my phone and learnt a few bits and bobs but it wasn’t until I found a video on YouTube which explained Finnish pronunciation, and the alphabet, that things began to click and make sense. This may sound silly, but once I realised that Finnish is almost entirely phonetic, it gave me confidence: I found it easier to say the words out loud. 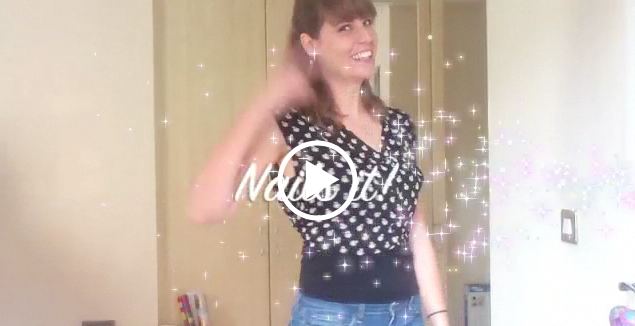 I even made a brief video wishing my Finnish friend a happy birthday last November (we share the same birthday), showcasing my newfound self-belief. I found a better app for my phone and by the time I caught the ferry to Finland in December my vocabulary had expanded to colours, some animals, some actions and objects. Up to this point I was still learning Finnish to prove a point and for the party-trick value, and I don’t think I was thinking ahead to taking it much further, because at the end of the day those naysayers are quite right, Finnish isn’t a useful language and I knew that to take the language further would require grammar. And Finnish grammar is what makes Finnish the fiendishly complex language that it is. 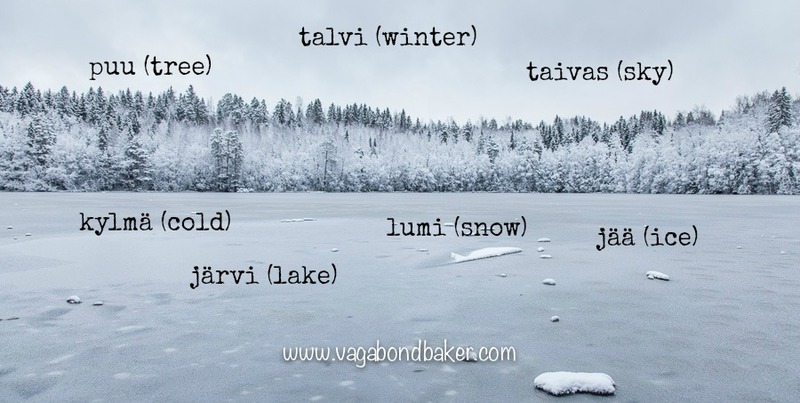 You can have hundreds of Finnish words, but the minute you want to string them together into even the most basic of sentences, you have to throw so much grammar at them it is bewildering to the novice learner. My fortnight in Finland completely changed my outlook. It showed me how much I had already learnt and it gave me new words. My other Finnish friend Satu praised what I showed her so much that it totally inspired me to carry on. And then I fell in love: I fell deeply in love with the country and I fell for the language. Sitting drinking coffee in a popular cafe in Helsinki, I heard the language for the first time. What I mean is, I became aware of it, I heard its melody, its uniqueness. The folk in the cafe chatted away to each other and to me it sounded like a babbling stream, it was beautiful, it was different. I noticed how it lacked any jarring sounds, nothing really guttural; when some english-speaking customers came in my mother-tongue sounded ugly and common in comparison. This strange language that I’d been playing at learning, all of sudden became something rare and desirable: I wanted to be able to speak it, to read it, to understand it. I wanted this super power! I’d finally found what had been missing when I’d tried to learn other languages: I needed to want it, I need to fall in love with it! Since returning from Finland I’ve taken my studies a little more seriously, I’ve tried to get my head around some of the grammar and while I’m yet unable to apply much of it, I can at least recognize it when I come across it. It’s going to be a long, hard slog but I’m determined and I’m driven. Like a love-struck teenager I’m obsessed, and I’m enjoying it. Finnish may not be ‘useful’ but any new skill can open new doors and opportunities, and who knows what learning Finnish may do for me in the long-term. If nothing else, it is doing wonders for my memory and it is keeping me happy and occupied! Just don’t ask me to speak it yet: I can only confidently wish you a happy birthday! I’ve written a second post describing how I’m learning and the methods I’m finding that work. How I’m Still Learning Finnish. All the resources, tips and links after one year of study. 4 Things That Are Easy About Learning Finnish It’s not all nightmare grammar! 50 Ways Finland Made Me Smile This Winter! A 5 week trip of complete winter happiness! Beautiful Suomenlinna in Pictures a crisp December day on this island fortress. Have you learnt a language just because you love it? Leave a comment below! Hi! I’m mexican and I want to study in Finland my master’s degree. I’ m learning the language and love it, but i was wondering which apps are you using. I have a teacher which was Hard to find in Mexico but I try to study with apps too. Hei Mariana! Wow, sounds awesome. It is such a beautiful country, what a great choice to study in. It’s great that you have a teacher for Finnish, this is the one thing I lack. The only app I’m using at the moment is the Memrise app. I have it on my smartphone and I occasionally use the Memrise website, which is where I joined Memrise first and selected my courses. The main course I’ve been using on there for a while is this one: http://www.memrise.com/course/377/beginners-finnish/ and it works well on my Smartphone. The app is free unless you go for the pro version– I have the free version. It has definitely helped to grow my vocabulary. There are quite a few Finnish courses on there, so have a look and see which ones fit what you are needing to learn right now. Your comment really made me smile this morning, thank you for taking the time to write it! I know my reasons are not obvious, but I really am enjoying it, even now: a year on from when I wrote this post! Your original thought about why on earth I would learn Finnish is exactly the reaction I get from everyone! I’m so glad you found that my reasons made sense. I’ve been back to Finland again since (this January) and it was so much fun using the little bits of the language I know, and I found I understood so much more than I thought I would, which was very satisfying. Greetings from sunny Scotland! Hyvää viikonloppua! Thank You selecting Finnish language. Yes, it is difficult indeed. I love it! Tricky but fun to learn! Minä myös oppia suomi. Samoin syy. Ja puhun espanjaa ja català mutta suomea on viehättävä. Minulla on ystäviä Oulussa. On kaunis maa ja suomalaiset ovat ihanaa ihmiset. Rakastan suomen kulttuuri! Sorry for any mistakes, will get there one day! Hei Chris! This is great to hear! Your Finnish was certainly good enough for me to understand! Kiitos Markka! I shall be using it tomorrow in Helsinki when I fly in! 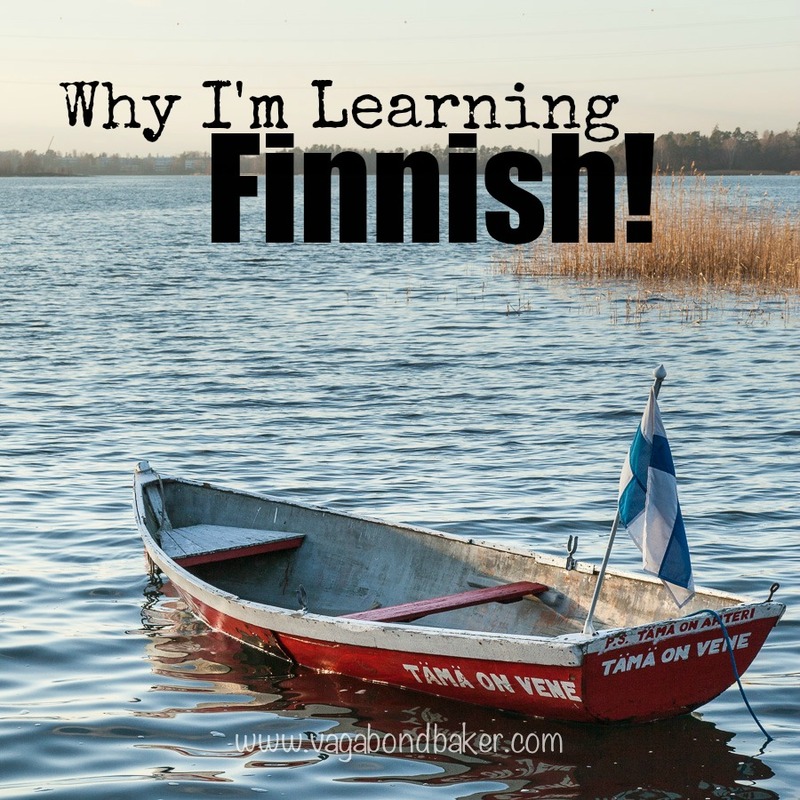 By coincident, I read this post and another one about learning Finnish, too. I myself am a Finn, I’m 16 years old. I’m so happy to hear you’re learning my language, it makes me really glad to know you are enjoying Finnish. I will absolutely read more of your posts, it’s great fun to read about your experience. Thank you for writing great posts and being so nice towards a difficult new language! Greetings from Finland. Enjoy the posts and send my love to Finland! I think it’s awesome that you decided to pursue something you’re passionate about. I also think you pointed out something very important about the way we all judge peoples’ reasons for doing something based only on their utilitarian “value” or “usefulness.” Why is it that the fact that something makes your heart sing not *the* most valid answer to the question of why you do something? If we don’t follow our hearts and listen to ourselves than I believe we are not evolving into who we are as individuals and that we are denying ourselves and the world of the unique person we are. I applaud you seizing opportunities again and again and going out and living the life you were/are meant to. Best of luck! Thank you so much Meghan! I probably have a mega sigh face when someone continues to question it. Like, I just love it ok, there’s little else to say! The older I’ve got, the more I just want to do things that make me happy, regardless of their usefulness – although I do believe that learning an un-useful language still has amazing benefits, and surprise benefits (like the friends I’ve made because of it!). You are quite right, its about grasping something you love and running with it, seeing where it takes you! Just love your 2 blog posts about learning Finnish (this one and the ‘4 Things That Are Easy About Learning Finnish ‘). I’m Dutch and dyslectic (not as badly as it used to be though). Until about 3 and a half years ago had no connection with Finland, but then I met someone on-line (you tube of all places) and she turned out to be Finnish. We became Facebook friends and now most of my Facebook friends are Finnish. I have fallen in love with the country (no, haven’t been there just yet, wishing) and the people. 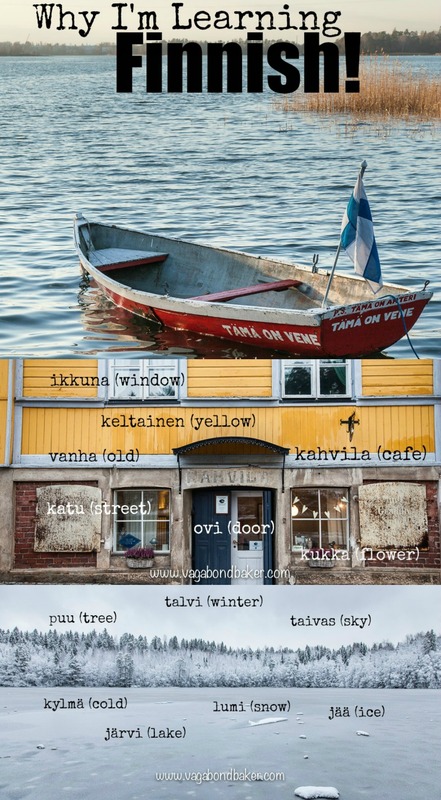 This has inspired me to learn Finnish and yes, I love a good challenge too … though I’m not nearly as far as you seem to be, but that’s okay … I’m just a slow language learner (English took me 4 years before I could use any of it). I’m using Memrise and a few other sites to build my vocabulary and also some books (Dutch-Finnish). As you said in the other post, Finnish grammar is not as bad as it might look … there’s mathematical logic, I think and it’s beautiful! Thank you for being out here and showing it’s not so weird or impossible to learn Finnish, we’re not alone … woohoo! Good luck on your further study of Finnish (and any other language you might give a try). How awesome to hear that you are also learning Finnish! My connection with Finland will be two years old next week, I still can’t believe how meeting one person and a little conversation has pretty much changed my life! I’m in a few FB Finnish learning groups and I feel I’m way behind many of the people that post on there. I don’t let it worry me though, I’m going at my own pace and I’m happy with that. I certainly believe that if you fall in love with a language then it will make learning that language so much more achievable. Good luck to you too, happy studying! Falling in love with it helps so much, doesn’t it. When they say: “Love conquers all”, they might not mean it like this … but it sure works for me. Love your baking too, btw. You are not the only one! I find Finnish fascinating as well. It sounds to me like an Elf’s language. I can just stay there and listen to how people speak. It is unfortunate that Finish people are not very happy with their country and are not as social as the Brits. One of my best friend have moved there last year ’cause he fell in love with a very beautiful Finnish girl…so he left England and went to live together with her in Nokia. I’m planning to visit him next month so now I’m trying to learn some words. Thank you for the post! Moi! Thank you, I’m glad to hear other people love the language too. Tolkien certainly thought it was elvish! I’m hoping to head back there in the winter to help my learning and meet back up with my wonderful lovely Finnish friends. I think everyone has things to dislike about their own country, that whole ‘the grass is always greener’ thing! Certainly travelling has made me see UK in a much better light: I really appreciate stuff I took for granted before. Anyhooo, I hope you have a great trip! Wow, and I think Finnish is so difficult. I’m learning Tagalog right now, to prepare for my overseas move tp the Philippines. I find it difficult. But I have this great app to help me. Slowly I;m getting there but yet still a long way from wishing any one a happy birthday in Tagalog. Good thing I;m not into birthdays. 🙂 Good luck with the study. Finnish is a bit tricky, but it’s so long since I learnt a language that it still feels new and exciting at the moment! Tagalog sounds really interesting, I’ve not been to the Philippines so I’m not familiar with it at all. I guess, like Finnish, it’s very unlike your own language or anything else you’ve learnt. I’ve just started using Memrise too and that seems to be really good. Good luck with the Tagalog! I can totally related to your interest in the Finnish language because it is so different. I felt the same when I met my boyfriend who is Finn while traveling and actually forthe first time ever heard about the odds and difficulties of his language. Immediately after this holiday I also deceloped that feeling of ‘challenge accepted ‘ , I’m gonna learn this language. But it wasn’t until I actually mived to Finland a few month ago that I actually felt some progress beyond vocabulary. Slowly, slowly I’m really starting to understand and even speak some very simple sentences. It definitely requires a lot if patients and self-discipline. Aw, that sounds lovely, a handsome Finn as a boyfriend – lucky you! I might return to Finland in winter, I have a few amazing friends there, two of which live in Tampere and it was great to stay there on my last trip. I’m sure it helps if you have a ‘proper’ reason for learning, I bet you’ll get there. It will take some dedication and it sounds like you’ve come a long way already. I need to get to structuring sentences, I think I’ll feel much more confident when I can do that. I just love learning languages, I’m a portuguese native speaker, and I speak english since I was 8 years old. Then, I started learning italian and japanese, just like you; japanese didn’t flow, and as I mastered italian, I felt something was missing: PASSION! I went through korean,chinese,french again, then I tried some nordic languages. First I studied a little danish. Later on, I fell in love with swedish and old norwegian! Guess what? it isn’t enough. The first time I saw an article about Finnish, and I realized it has nothing to do with nordic language tree, I felt a challenge growing inside me! Here I am, trying to share my heart between swedish and finnish. Probably I’m learning both of them! Excellent to hear Bruna! It certainly is a challenge, and a fascinating one at that! Wow, that’s a lot of languages you’ve tried your hand at. I wish I’d had the opportunity to learn a language at an early age like you have with English, our brains are like sponges at that age! Old Norwegian sounds really interesting! Wow, I have to say ‘why’ is exactly what I thought as well! 🙂 But I do admire you for wanting to learn another language, and especially finish! My husband is half Finnish and his mother is finish. We used to go to Helsinki every summer when his grandmother was still alive. She only spoke finish (and some german) but that was still not enough got me to learn finish. It is for sure not the easiest language to master! Cheering for you! Thanks Inger! Very amusing to hear that you thought ‘why’ too! Hahahaha! It must have been so sweet listening to your grandmother in law, did she feed you lots of interesting Finnish food? I do think Finnish is one of those languages you really have to want/need to learn to get anywhere with it. I find it so satisfying being able to read bits of it, that drives me on, either that or the bits I can’t understand frustrate me to learn more! wow, I’m impressed of your interest in a language that for me has given a -Do I really have to speak this ugly language – kind of feeling, growing up. My parents are both from Finlan. I have lived most of my life in Sweden. I am married to a man who speaks Spanish, which I have learnt to speak also. We are tought English at school from 9-10 years of age. So I speak 4 different languages and I must say the Finnish grammar is out of this world, totally different to the others I speak. I think your language is beautiful! Wow, you can speak Spanish, I’ve tried but it doesn’t seem so want to stick, I love Finnish! I learnt the Russian alphabet to travel across Russia on the train, I think it would be a really interesting language to learn! Good luck (onnea!) to you too! I never heard Finnish before. Sounds like a nice language, good luck!! I don’t think I had until I met those amazing travellers, it’s so beautiful! Thank you! Thanks Jennifer, I loved that conversation we had in Art Cafe, Turku about it all, I kind of got the feeling you knew more than me – surely having a Moomin helps ;). I will write the post this month hopefully, lots of tips and stuff. I’ve used quite a lot of things and some have been better than others. I’m so happy to share my Finnish passion, even more so if it improves yours! Now you are not there, are you viewing it more fondly in retrospect? Good for you! I’ve made several attempts at learning French (just because I love the country) but have slipped out of the routine of studying regularly. Your blog has inspired me to pick it up again. Best of luck with this new challenge. Yay, you’re learning it too and also in love with the country too Jennifer! I hope I’ve inspired you enough to do it, I’ll be writing up a post at sometime explaining how I’m learning so that might help. Such a lovely post Rachel. I love how you describe falling in love with the language and, having spoken to you this weekend, I know that Finland has stolen your heart. I feel the same about Spanish, I love hearing it spoken and the satisfaction you get from being able to hold a conversation in a second language should never be under-estimated. By the way, I thought you sounded great in the video! Aw, thanks Em! I was a wee bit “um, should I post that vid?” it was quite a personal thing at the time, plus I hadn’t learnt the alphabet at that point so it was practiced repetition. I have scraped conversations in French but it has never been easy, I’d love for a language to be as natural as breathing! I’m not sure if I’ll get quite to that level in Finnish, but to be able to read it and understand hearing it, would be awesome and that’s my long term goal. Radiointervjun med mig – på svenska om Finland.